Perdition City is the first full electronic album by genre hoppers Ulver. After dabbling with electronic music for their experimental album Themes from William Blake’s The Marriage of Heaven and Hell, they followed up with the aptly titled Metamorphosis in 1999 and a year later released Perdition City, the culmination of their musical progression. Ulver settled on trip hop to form the foundation of Perdition City and being the experimentalists that they are, they weren’t able to settle for a single sound and chose to incorporate elements of jazz music on certain songs that make for an interesting fusion of genres that work to the advantage of Perdition City. Unfortunately the knack Ulver has for experimenting goes awry with the introduction of We Are the Dead, a haunting dark ambient/spoken word song that spills over into Dead City Centres to make a 2 part song that ends with the audio of a fake film trailer. While not inherently bad on their own, they disrupt the flow of Perdition City and you’ll want to skip over them on future listens. Ulver then goes off at the deep end with Catalept, which is just a retitle of the song Prelude from the 1960 film Psycho with a simplistic drum beat slapped over the top. Much like the fake film trailer at the end of Dead City Centres, it is poor quality filler material and does nothing but hinder Perdition City. Thankfully The Future Sound of Music shows Ulver’s experimental tendencies moving in the right direction. It starts out as another unsuspecting trip hop song that suddenly explodes into an overdriven barrage of intense hammer-like percussion and warped noises. It lives up to its name and there is no other song on Perdition City or any other album that comes close to mimicking it. 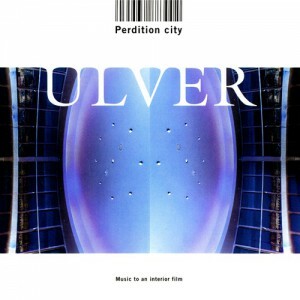 Ulver explored and even reinvented the trip hop sound in some instances on Perdition City. It is a shame that they never made a follow up trip hop album to refine and expand on this sound before moving onto another genre. They let the music do the talking for the most part and in doing so, they flow between rich and varied instrumental passages complemented by the jazz tinged moment that explore their introverted moods, or interior music as the albums subtitle allures to, in great depth.